I am an amateur photographer currently living in Herefordshire. My father gave me my first camera when I was a teenager – an Agfa Rapid – and my interest in photography developed from that gift. I also love to photograph big birds [eg Bewick’s swans at Slimbridge, red kites at Gigrin]. I have a left shoulder injury and an obvious lens choice [70-200mm f2.8ii ] had to stay at home as the shoulder wouldn’t tolerate hefting it about all day. Taking both the Speed Freak and the Airport International enabled me to take more gear than I could physically carry – rucksacks are out of the question at the moment. When I arrived at the arena, photographers were very restricted and I had to experiment with the primes from the corner of the court selected from the roller bag [ which was secured secured to a chair with the built in metal cable – a great feature]. Deciding that I couldn’t get the shots I wanted from the corner of the court, I managed to create enough space next to the basket to move in a chair next to the lad whose job it was to wipe up the sweat from the court when the players clattered to the ground. 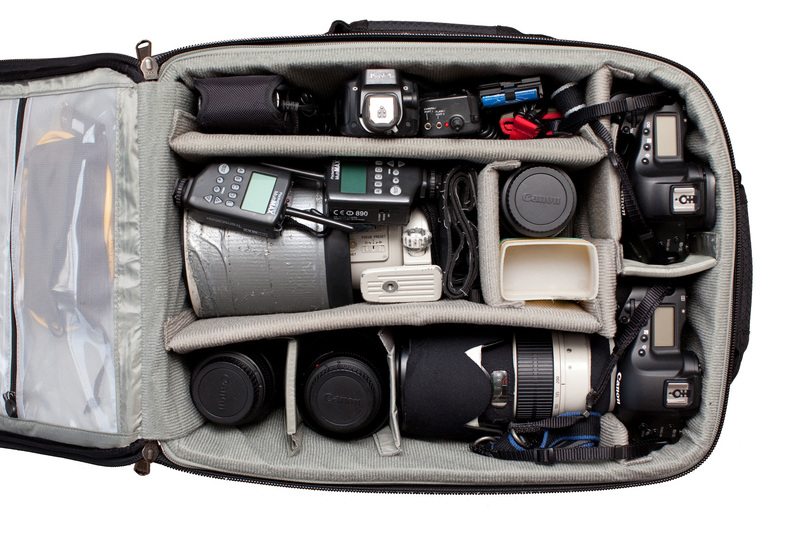 This enabled me to support the camera with my left elbow resting on the bag on my knees. At half time, at the other end of the court, I had to sit on the floor. 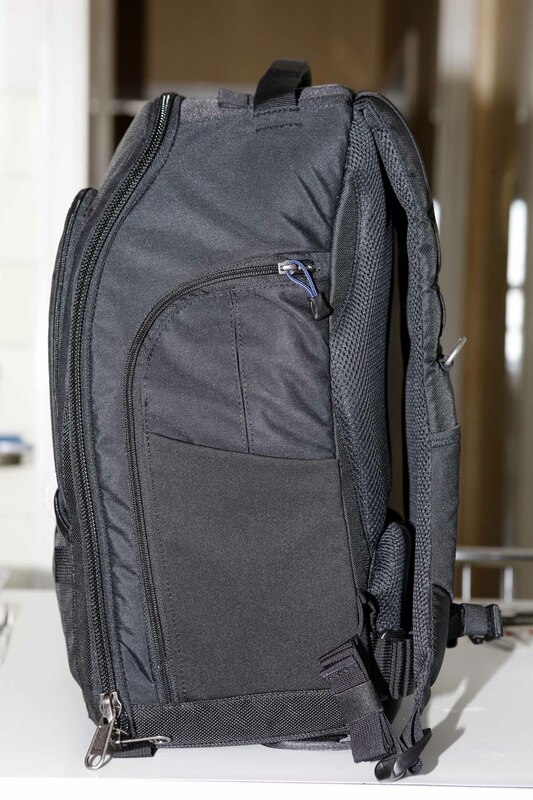 My bag helped a great deal again – supporting my shoulder. At the end of the 3rd quarter, I stood up to stretch my legs out [much muttering amongst fellow photographers about sore knees], took a couple of steps away from my position to lose my spot within seconds to a guy who just nipped in and sat down! Lesson learnt…. Thanks to Tom Bennett of Razorlight Imagery for the mug shot of me holding his camera, taken shortly after I lost my spot on the floor. I have two waist bags: The Speed Freak and the Speed Racer. I am most comfortable with the Speak Freak for my basketball photography. At a home match, I can take move around easily with all the lenses I need without having to be concerned about the security of my kit. The belt is broad enough to be comfortable and the external pockets give plenty of space for cards, my phone and money and a snack. In the lid, there is an easy place to stash lens wipes, a spare card and business cards; I now avoid putting anything metal here as an allen key escaped once and lightly scratched the back of my camera. The Airport International also takes a shedload of gear; I believe the latest version has a more robust handle but I am not prone to dragging my bags up flights of stairs so it is not a drama for me. It would be fair to say that I am a ThinkTank convert; I have 6 of their bags; all well made, hi spec material and created by sensible people who put handles where you need them! If you’d like to see Linda in action she’ll be courtside for the Worcester Wolves at the Arena for their home games. 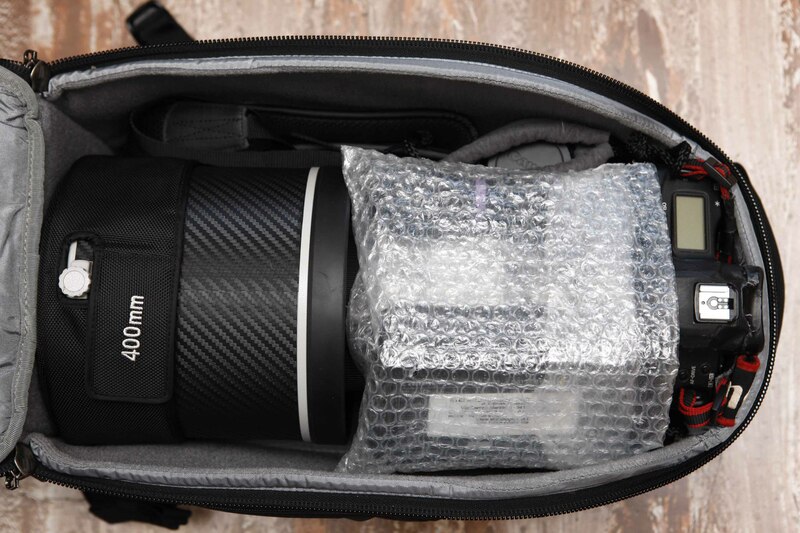 This entry was posted in Bags, Belt Pack, Canon, Photographer, Photography, Roller Bags and tagged Airport International, Beacon Camera Club, Speed Freak, sport. “The Airport International is definitely the best trolley we can have !! I have a lot of equipment to bring with me and every time is a real nightmare. Lufthansa and Swiss allow 1 piece of 8 kilos max in cabin ! … total weight… 8 kilos, more or less !! 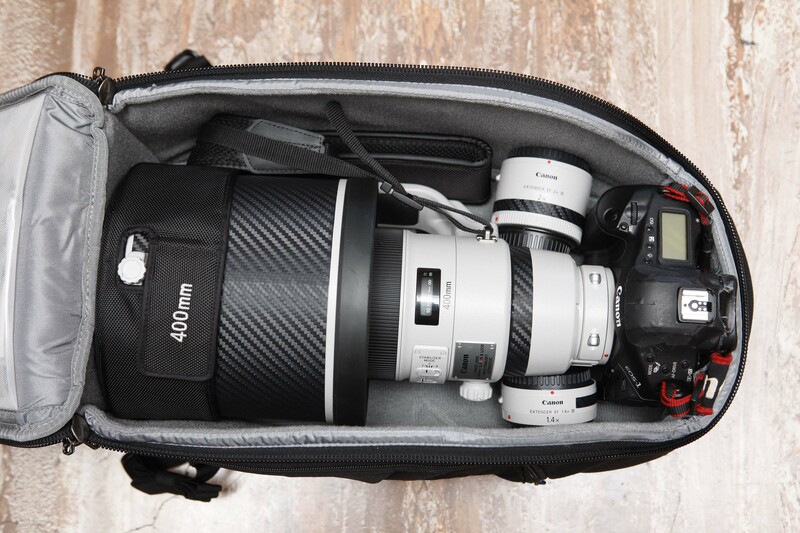 This entry was posted in Airline Carry-On, Backpack, Bags, Canon, Does my kit fit?, Photographer, Review, Think Tank Photo and tagged backpack, Bag, baggage, Bags, canon, carry, Does my kit fit, Photo, Photographer, Stefano Grasso, Tank, Think, Think Tank Photo, Travel. Our first shipment of the ioShutter™ cables has just arrived! ioShutter™ is the world’s first fully-functional shutter release system for the iPhone, iPad and iPod touch. The cables available now are Canon fit. (and will fit some models of: Pentax, Samsung, Hasselblad, Contax 645). We are expecting the Nikon fit cables to arrive in the Summer. This entry was posted in Accessories, Canon, Enlight Photo, ioShutter, Pentax, Snapperstuff and tagged App, cable, enlight photo, ioShutter, James Madelin, lapse, release, Rob Galbraith, shutter, time, timelapse. 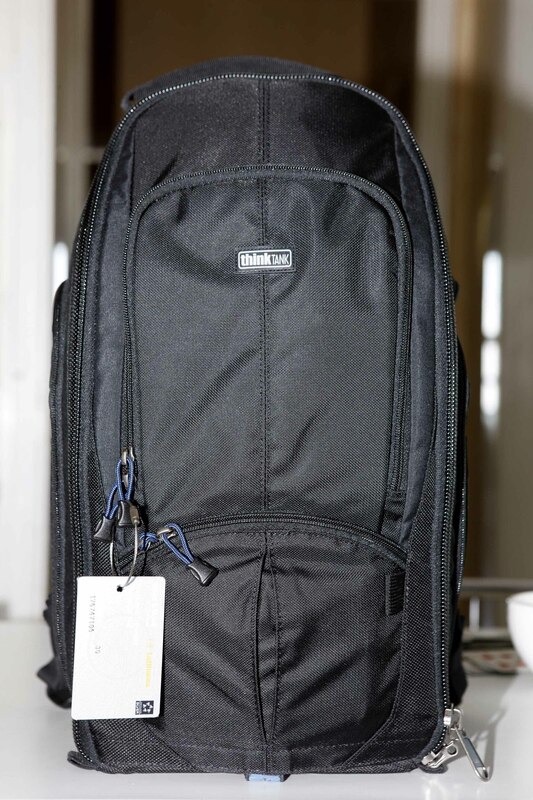 Click on the images to find out more info on the Airport TakeOff – backpack & roller bag in one. The first person to correctly list x5 of Angus’s lenses, as pictured in his Airport TakeOff above, wins a Think Tank Photo branded Pixel Pocket Rocket. Please enter your answer in the ‘Leave a reply’ box below (and ensure your comment links to you). This entry was posted in Accessories, Airline Carry-On, Airport TakeOff, Backpack, Bags, Canon, Competition, Does my kit fit?, Enlight Photo, Frio, Green Clean, ioShutter, Photographer, Pixel Pocket Rocket, Roller Bags, Snapperstuff, Think Tank Photo and tagged Airport TakeOff, Anugs, backpack, Bag, canon, Does my kit fit, enlight photo, Frio, Green Clean, ioShutter, Lastolite, Photo, Pixel Pocket Rocket, Roller, Tank, Think, Think Tank Photo, Thomson. Please note: We highly recommend you check with your airline the legal carry-on allowance for both weight and size are prior to travel. Carry-on size and weight restrictions vary with different airlines and at different airports nationally and internationally. This entry was posted in Airline Carry-On, Backpack, Bags, Canon, Does my kit fit?, Photographer, Photography, Pixel Pocket Rocket, Snapperstuff, Think Tank Photo, Travel and tagged Airport Antidote, Arctic Circle, Artificial Intelligence 15, backpack, Bag, Camera Strap, canon, Does my kit fit, Freia Turland, laptop, Photo, Photographer, Pixel Pocket Rocket, Tank, Think, Think Tank Photo. The Airport International™ V2.0 is designed to meet current legal international carry on requirements. 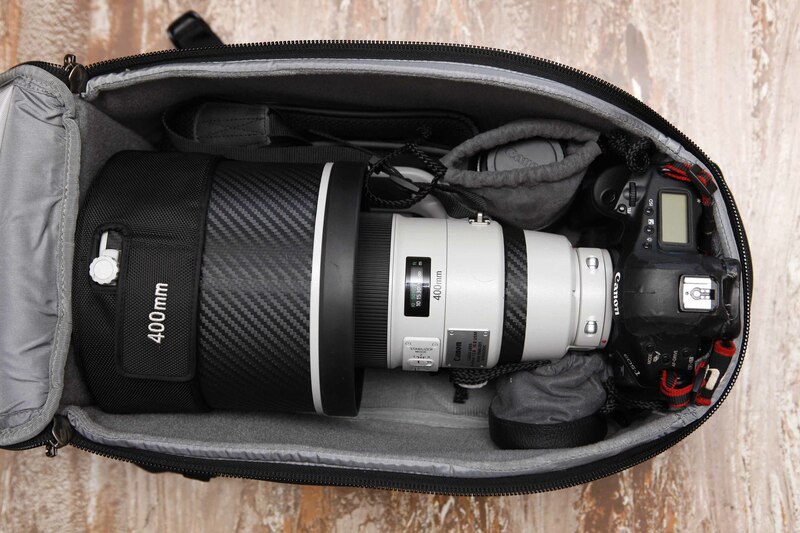 Also to transport heavy camera or lighting equipment in urban environments. We highly recommend you check with your airline the legal carry-on allowance for both weight and size are prior to travel. Carry-on size and weight restrictions vary with different airlines and at different airports nationally and internationally. This entry was posted in Accessories, Airline Carry-On, Bags, Canon, Does my kit fit?, Photographer, Photography, Pixel Pocket Rocket, Roller Bags, Snapperstuff, Think Tank Photo and tagged Airport International V2, Bag, Camera Strap, canon, Helen Atkinson, Pee Wee Pixel Pocket Rocket, Photo, Roller, Tank, Think, Think Tank Photo. This entry was posted in Canon, Does my kit fit?, Multimedia, Photographer, Photography, Retrospectives, Review, Shoulder Bags, Snapperstuff, Think Tank Photo, Video and tagged Bag, baggage, Bags, Camera, canon, David Newton, EOS, EOSnetwork, equipment, fit, gear, lenses, network, Photo, Photographer, Photography, Retrospective, Review, Shoulder bag, Snapperstuff, Tank, Think, Think Tank Photo.